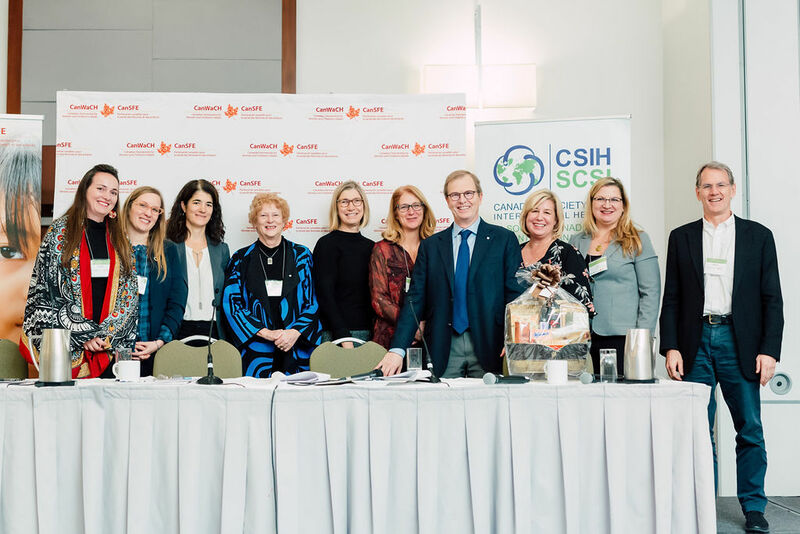 On November 20th, as part of the Canadian Conference on Global Health (CCGH), CanWaCH members came together for our annual general meeting, including a business meeting and multiple opportunities to exchange knowledge on public engagement, data and metrics, and gender equality and health. Innovation! We need to invest in innovation in measurement and evaluation (M&E), as well as in the work of M&E itself. Within the current context, we need to capitalize on new technologies, partnerships, and approaches. We also need to ensure that we’re building capacity and sharing knowledge around best practices in privacy, management and ethical use of data, particularly in fragile or politically sensitive contexts. Top quote: "Collaboration is not about eliminating diversity - it's about making the most of it." What’s exciting: The session showed that there is an appetite to discuss challenges in depth and it was clear that many of our challenges are common ones: limited resources, challenging political contexts, clear communication, and the high cost of quality M&E, particularly in fragile settings. This also means that there is a significant opportunity for solutions or strategies to have meaningful impacts for multiple stakeholders. The global context: Today, two billion people live in countries where development outcomes – and basic life-chances – are affected by fragility, conflict, and violence. In humanitarian crises and fragile contexts, the health of women, girls, boys and men is affected differently. Due to systemic gender discrimination, women and girls face higher risks of gender-based violence and lack of access to essential health services. Specifics within a fragile context: There is no excuse not to do gender-sensitive work at the bare minimum – it’s smart humanitarian programming. From the onset of humanitarian crises, women’s voices and perspectives must be included in order to rebuild at the community level, plant seeds for long-term change and mobilize communities for long-term change. 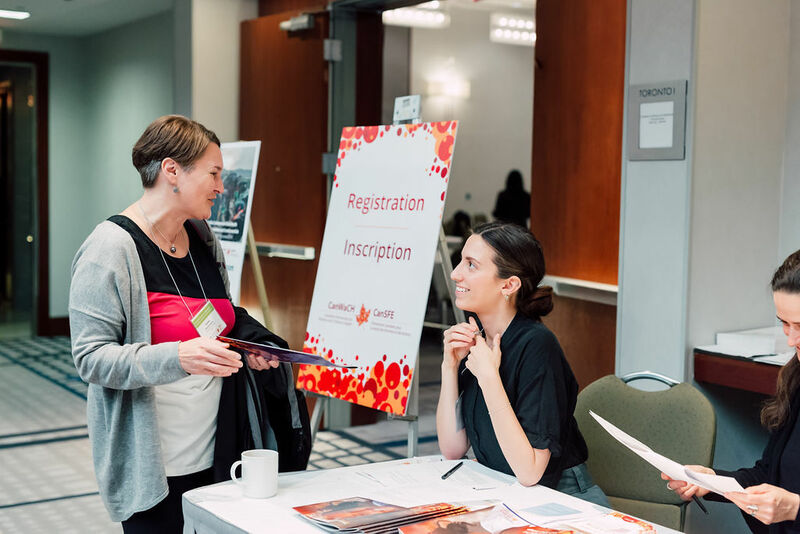 What’s exciting: Participants loved how the panel and gender equality gallery walk were so dynamic and interactive. 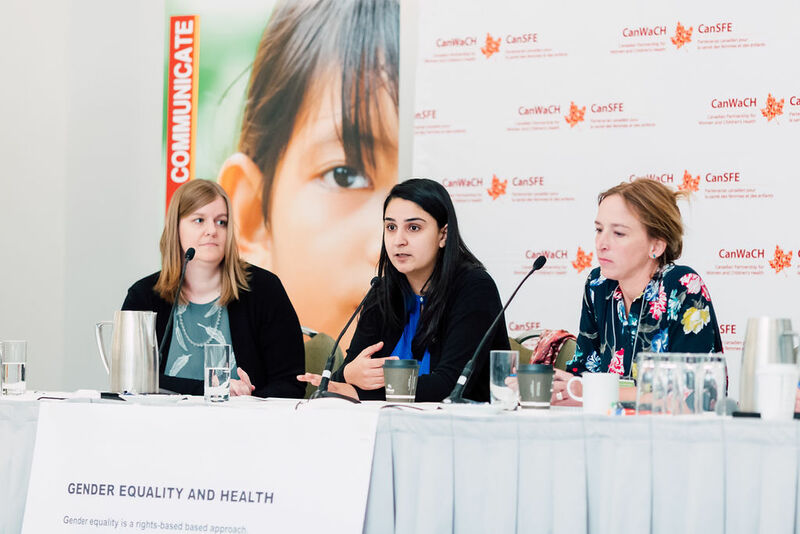 Through this workshop, participants explored key challenges and opportunities to advance gender equality and health in fragile contexts and humanitarian settings. 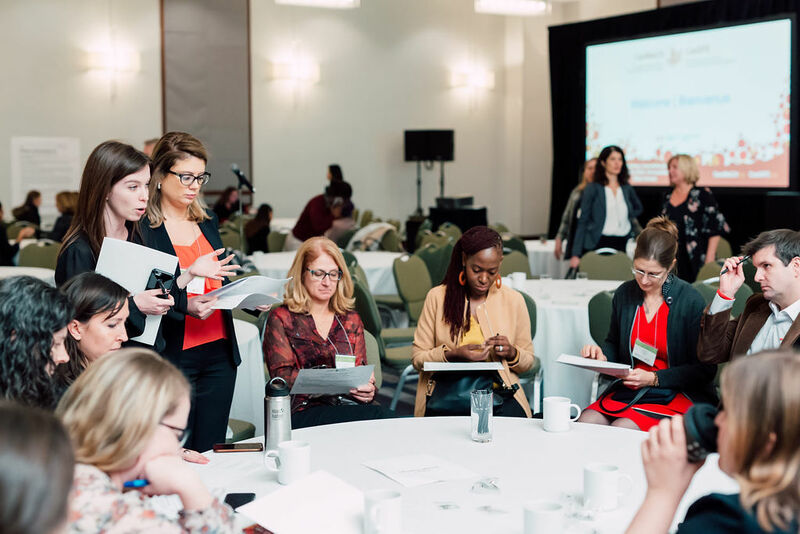 Workshop participants learned about a spectrum of gender equality approaches and shared knowledge on what works to address gender gaps in humanitarian and fragile contexts to build resilience and drive change. 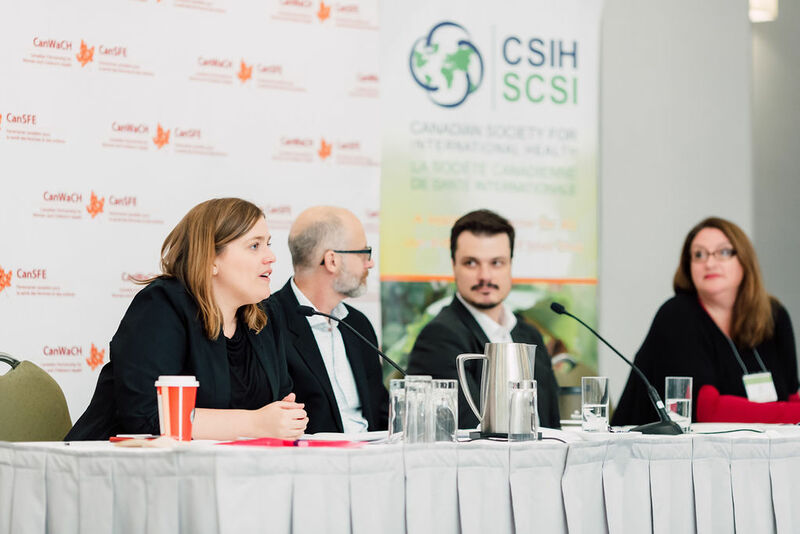 No ‘magic bullet solutions’: There is a broad consensus among participants that there are no cut and dry answers to many of the strategic, audience and language challenges the sectors faces in reaching Canadians, however, there is great value in holding spaces to have these discussions. It was acknowledged that there needs to be widespread co-operation and consensus within the sector. Effective methods: There was general agreement that storytelling is one of the most effective ways to reach Canadians. Although we need to make sure to not be too self-serving, there is a general sense of hopefulness and excitement about focusing on positive stories of development. Another method that was threaded through all three groups was the importance of helping Canadians to "see themselves" in the stories we tell about development work. 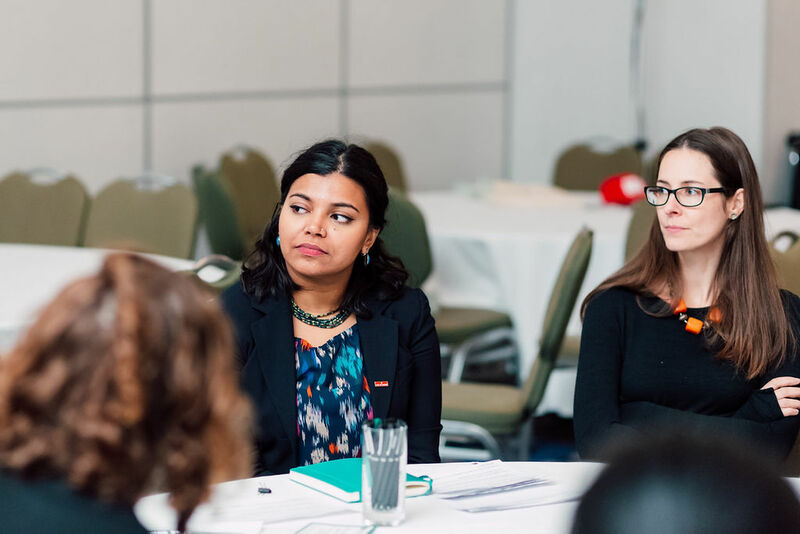 What’s exciting: Having the opportunity to sit down face-to-face with colleagues from across Canada to build common understandings and solutions to challenges is exciting. The general feeling was that we needed more time - I’m feeling excited to follow-up with my colleagues and build even more common understanding!